To our surprise, Apple launched its iPad mini with Retina display overnight, making the new iDevice available in the Apple Online Store and also available for in-store pickup at select locations. Now, AppAdvice has got hold of the second-generation iPad mini, and in our latest video we unbox the product, provide an overview remix, and also offer benchmark results for the tablet. Though the iPad mini 2 looks a lot like its predecessor (instead, the 9.7-inch tablet featured a major redesign this time round), thanks to the inclusion of a Retina display along with enhanced internals, the 7.9-inch iDevice nevertheless feels like a brand new product. Content looks super-crisp, and iOS applications perform incredibly well thanks to the tablet's 64-bit Apple A7 processor. Its display gives a PPI of 326 and the iPad mini weighs in at 331g, making it almost 140g lighter than the larger fifth-generation iPad Air. Though the new iPad mini is slightly thicker than the first-generation iteration, this doesn't really show when looking at the tablet, as you can hopefully see in the below video. 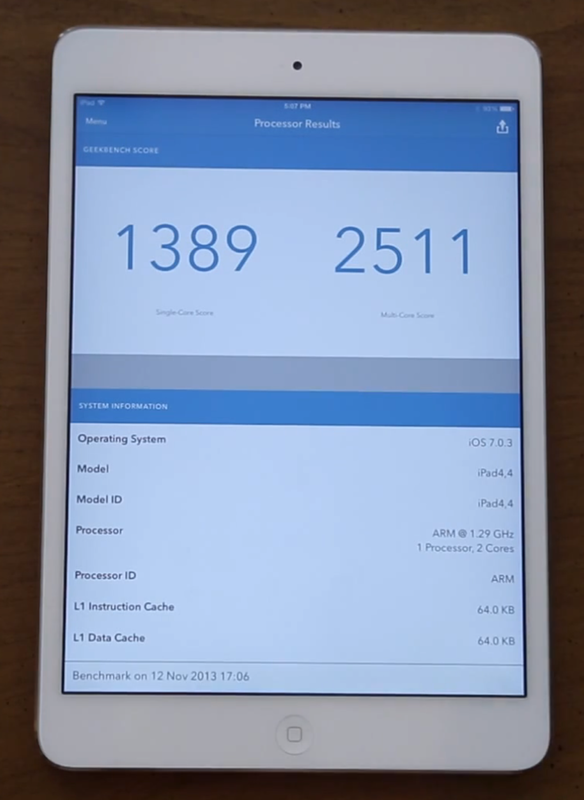 Benchmark-wise, the iPad mini with Retina display won a single-core score of 1,389 and a multi-core score of 2,511. We'll be publishing more videos of the new iPad mini soon, including one that addresses how the second-generation iDevice compares against the first-generation model. If there's any particular topic you'd like us to address, shoot an email over to [email protected]. 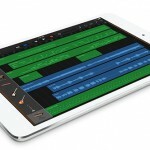 Below, we've included the aforementioned iPad mini video for you to check out. See also: Stay In The Game: Sony Launches Official PlayStation 4 Companion App For iOS, Warner Bros. Looking To Make Movie Based On Temple Run With "Harry Potter" Producer, and Today's Best Apps: Dead On Arrival 2 And Resume Star: Pro Resume Designer.